Bob Edge is recognized by many as the dean of estate planning attorneys in Georgia. He led the firm's Wealth Planning for over 25 years. He has been included in The Best Lawyers in America since its inception, is named among Georgia Trend's Legal Elite, is listed in Super Lawyers magazine, is a Fellow of the American College of Trust and Estate Lawyers and has been chairman of the State Bar's Fiduciary Section, as well as president of both the Atlanta Estate Planning Council and the Georgia Federal Tax Conference. 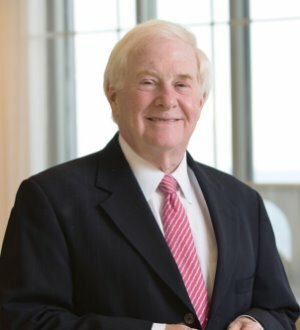 In the 2010 edition of The Best Lawyers in America, he is named the “Atlanta Trusts and Estates Lawyer of the Year.” He has served as chairman of the Partners' Committee at Alston & Bird. Mr. Edge attended the University of Georgia, where he was valedictorian, Oxford University, as a Rhodes Scholar, and Yale Law School. His professional life has been complemented by service as president of the Association of American Rhodes Scholars, a director of The Carter Center, a managing director of The Metropolitan Opera Association (NY), chairman of the University of Georgia Foundation and president of the Atlanta Music Festival Association.